The other week I managed to get the wings and bonnet in primer but found some residual paint that reacted with the primer. They’ll need rubbing down in a few spots and a barrier coat applied before they’re due for the topcoat next week. In the meantime attention has turned to the seating and this is where the fun starts. Being 6’2″ I need to sit as low as possible to keep my head below the top of the screen and below the roll bar. 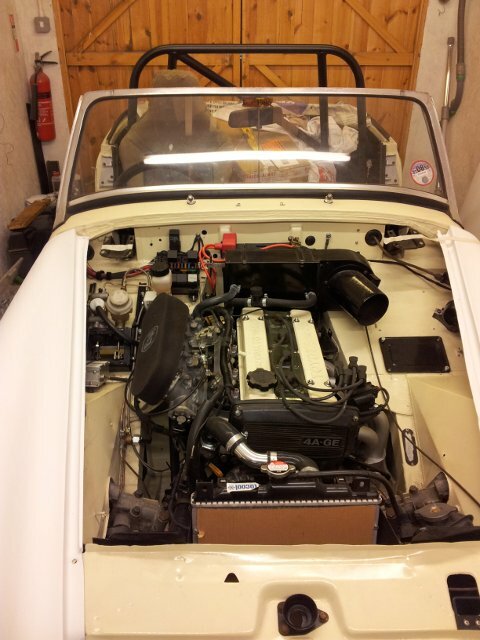 Space for long arms is another requirement so a seat that is tilted as far back as possible will help however the presence of the roll bar is preventing this with the majority of seats. 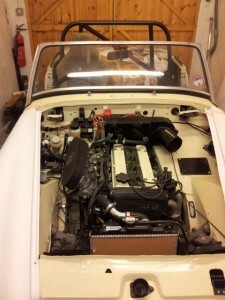 As I have a pair of Elise bare shells they’ll be initially fitted until I find the perfect seat. 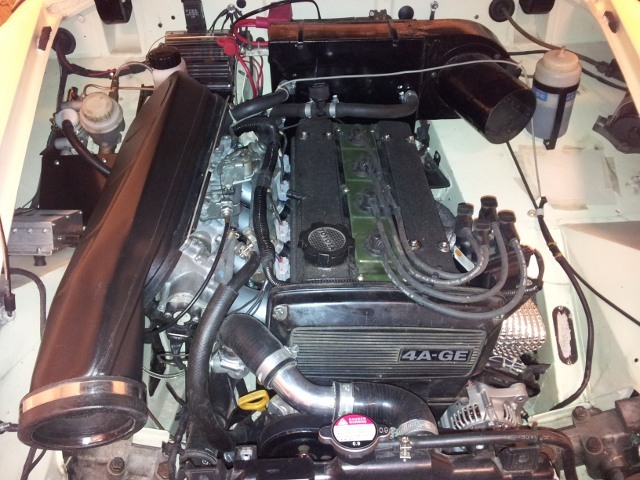 The seat runners are from an old pair of TVR seats that were in the shed and fitted with just a new rear mounting hole drilled through the runner base. 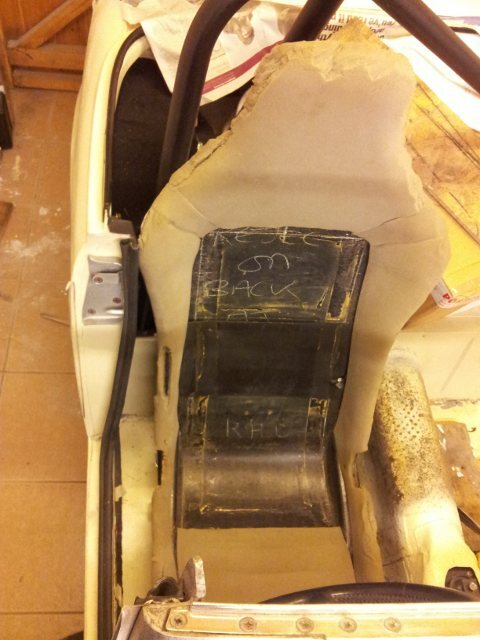 The frame to take the Elise seats was fabricated from some 3mm x 75mm steel and bolted to the top of the runners. This is the drivers seat showing how it has been angled to clear the side of the car and it points towards the pedals rather than being offset to the left. Having a Porsche 964 where the pedals are offset to the left I’m used to offset pedals but here I’m lined up nicely with them but have an offset sheeting wheel. It is called character. 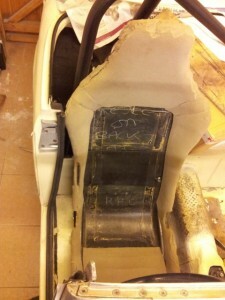 View showing drivers seat in relation to the roll bar.